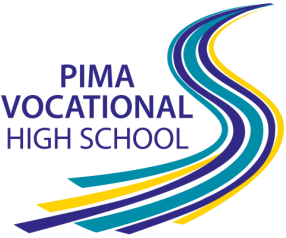 How is Pima Vocational High School different from other schools? Non-judgmental environment: You can be who you are here, and get a new start. You are treated as an individual and teachers care about you! Vocational training: Students attend 3 classes (32 hours each) of employment skills training, including resume and interview skills, and get paid job placements and internships. Youth specialists: A youth specialist at each campus assists students with challenges outside of school, including working with Youth On Their Own, finding child care, etc. Small class sizes: (fewer than 15 students per class) and small campuses (fewer than 50 students per campus) equal lots of personal attention so you get the help you need. Advising classes: Meet weekly with your advisor to go over your transcripts, work on your career portfolio and ensure that you stay on track to graduate by your goal date. Take control over your education! Our teachers are all highly qualified and trained in Arizona’s College and Career Ready Standards, and they are committed to your success.